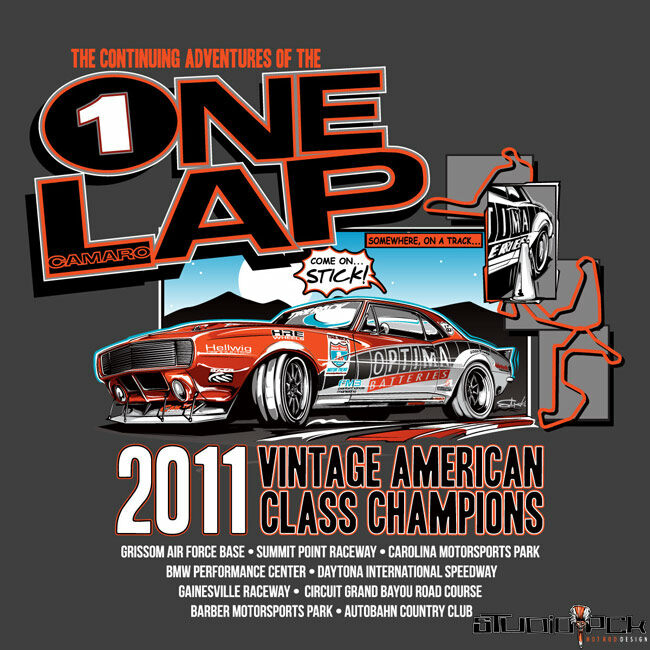 T-shirt illustration and design for race team to celebrate their second class win in two years on the One Lap of America series. 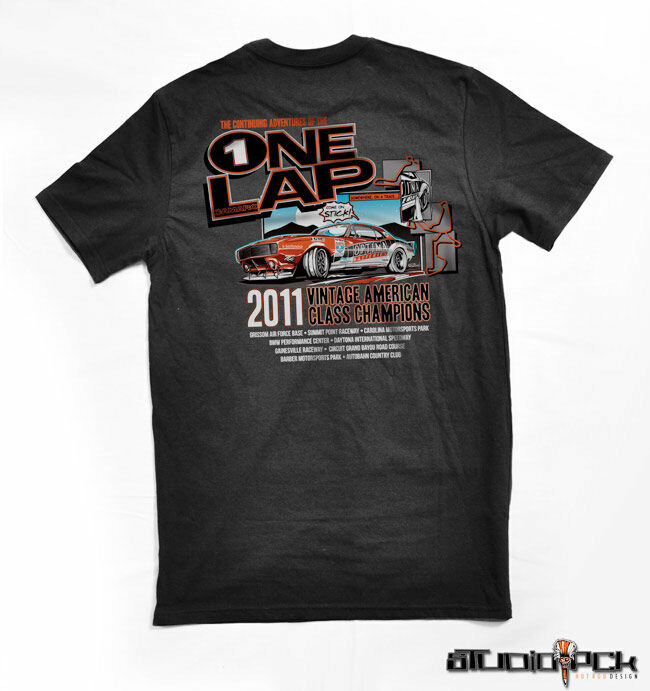 I conceived, directed and produced the artwork, and provided all files to create screens and final shirt prints. Second Time Around, Second Championship! Took a comic book/graphic novel approach, and just had some fun with it. Thanks for looking in!